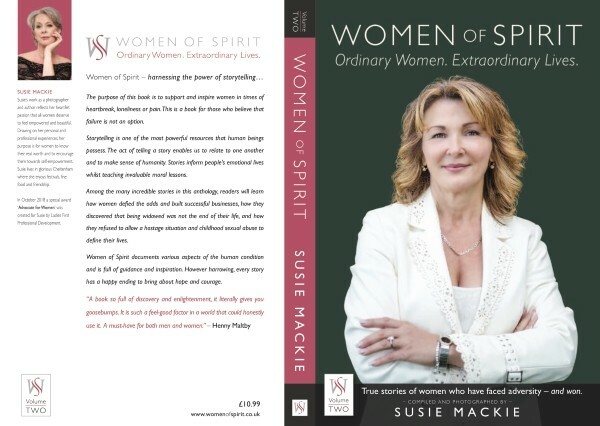 AUTHOR and photographer Susie Mackie has compiled her second anthology in this series, an inspiring collection of real-life stories which encourage the reader to strive for an emancipated, fulfilling life. Susie’s beautiful portraits bring each story to life. KEY SPEAKERS NOW INCLUDE SHARRON LOWE Success Coach, Conference Speaker and Author of The Mind Makeover. Sharron wholeheartedly supports the Women of Spirit concept and movement. 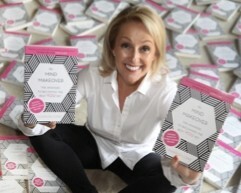 ‘Sharron is one of the UK’s top motivators and influencers.’ Trish Halpin, editor-in-chief, Marie Claire Magazine. Sharron is the go-to Success Coach and Motivational Conference Speaker for global luxury brands, including Chanel, Estée Lauder, Clinique, Parfums Christian Dior, LVMH, and Lancôme. Sharron also counts Retail Department Store Groups Debenhams, Marks & Spencer, BOOTS, Luxury Hotel Groups and the UK’s National ‘Mind Body Spirit & Wellness’ Festival amongst her clients. She’s named by the press as ‘the Success Coach who adds £millions, her message and delivery have helped many major global brands add millions of pounds in sales and significantly move market share and position’. “Every woman has relived and exposed her past, always difficult, sometimes traumatic or disturbing and with searing honesty. Their experience is so powerfully articulated we find ourselves imagining their ‘real’ situation. To call it an emotional rollercoaster is an understatement and yet it is testament to their strength, their courage, their generosity and desire to help others that shines through the most for me. It is clear that all the women are now embracing, enjoying and living their lives as they chose to do. How empowering is that! Drawing on her personal and professional experiences (her story is in Volume One), Susie’s purpose is for women to know their real worth and to encourage them towards self-love and self-empowerment. In October 2018 Ladies First Professional Development Ltd created a special award ‘Advocate for Women’ for Susie in recognition of her achievements so far. With the help of many women of spirit, she is building a movement towards the self-empowerment of women, while maintaining the belief that women can step into their power and remain feminine and nurturing - no bra burning!